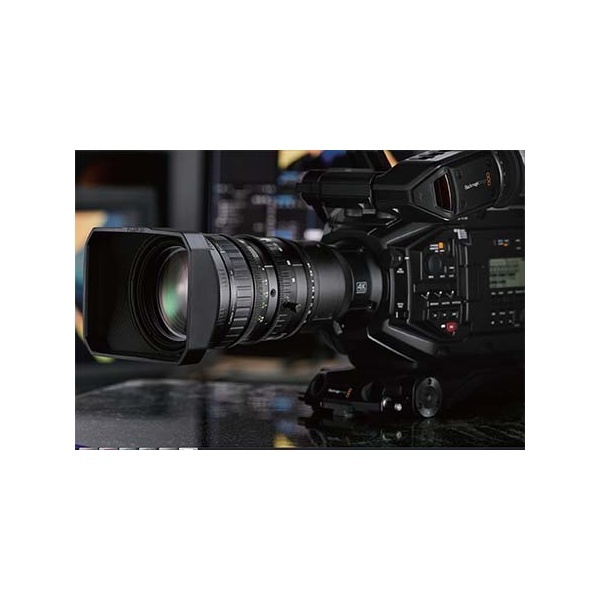 4K lens for Blackmagic URSA Broadcast. New professional lens with 2/3" mount, exclusive sale together with a Blackmagic URSA Broadcast camera. Designed specifically to be used with URSA Broadcast, this is a professional 4K resolution lens in a compact and light body of only 1.6Kg. 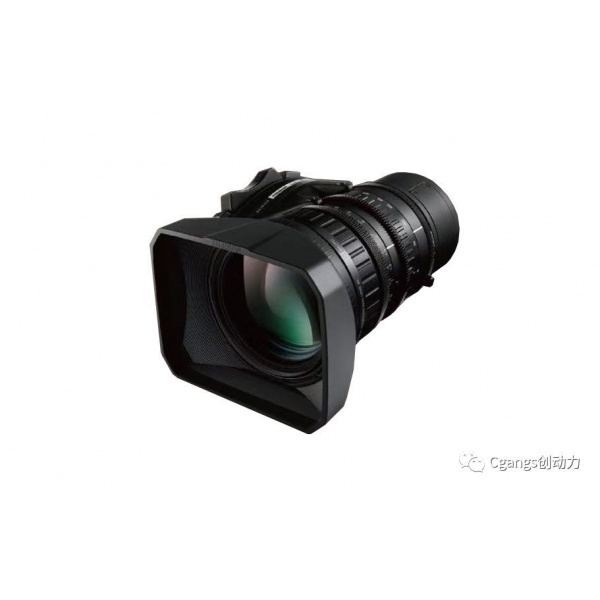 It is a highly versatile lens, suitable for ENG or studio use, with electronic back focus adjustment and macro function in the front ring. Angle of view in 16:9 aspect ratio: 8mm - 61.86ºx37.25º / 128mm 4.29ºx2.41º. 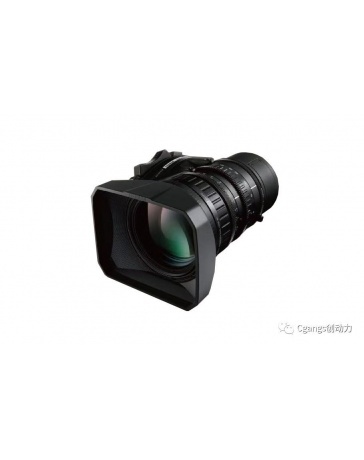 This optic will be supplied exclusively with the purchase of a Blackmagic URSA Broadcast camera.